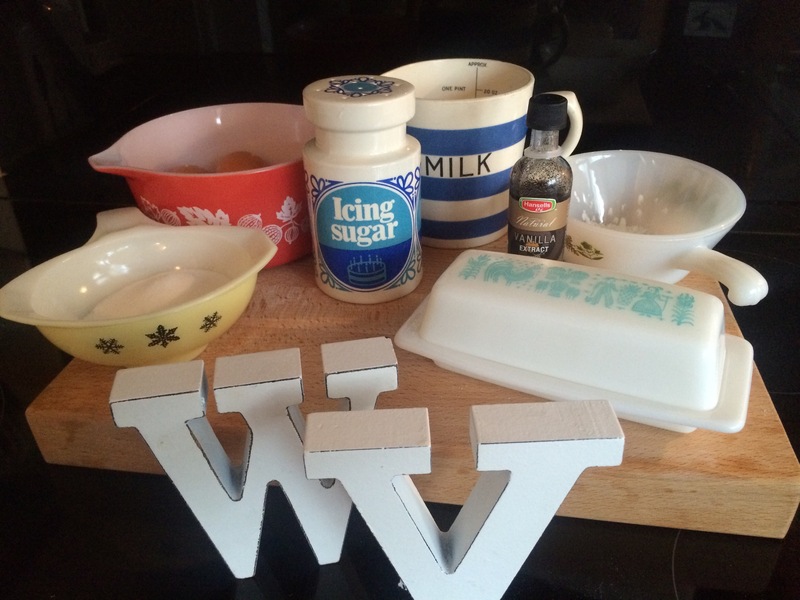 The Great British Bake-Off, as usual, continues to inspire me. It’s the final tomorrow night – will you be watching? Who do you think will win? We have our money on Nadyia! 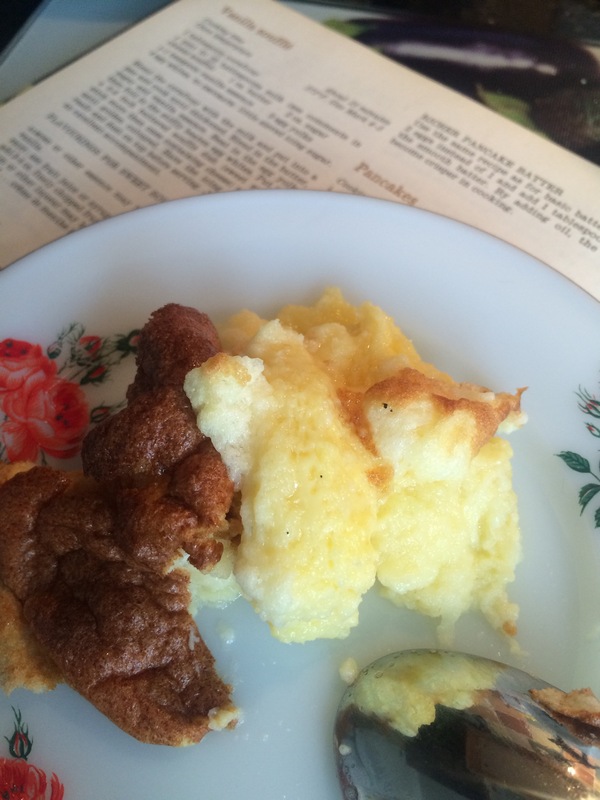 Last week they had to make a souffle and each of them commented, on being presented with the instructions, that they had never made one. Yet they all managed to knock a beauty out with fairly minimal instructions. So – what can go wrong?????? 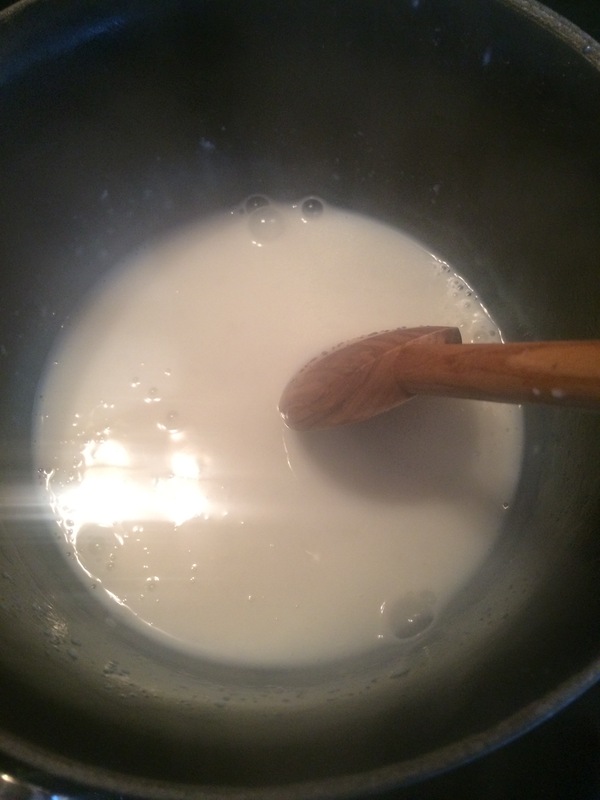 Blend the cornflour with the milk and put into a pan and cook until thickened. Blend in the butter, sugar and vanilla essence. 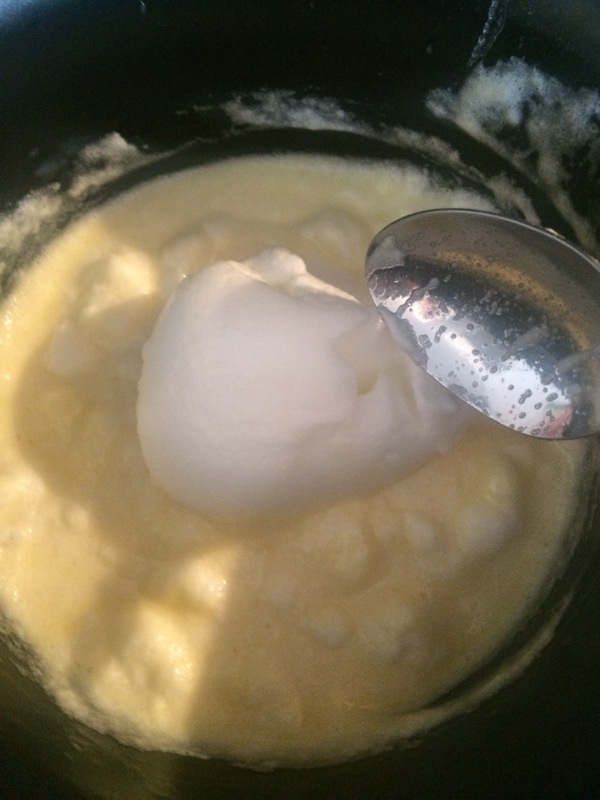 Fold in the stiffly beaten egg whites. 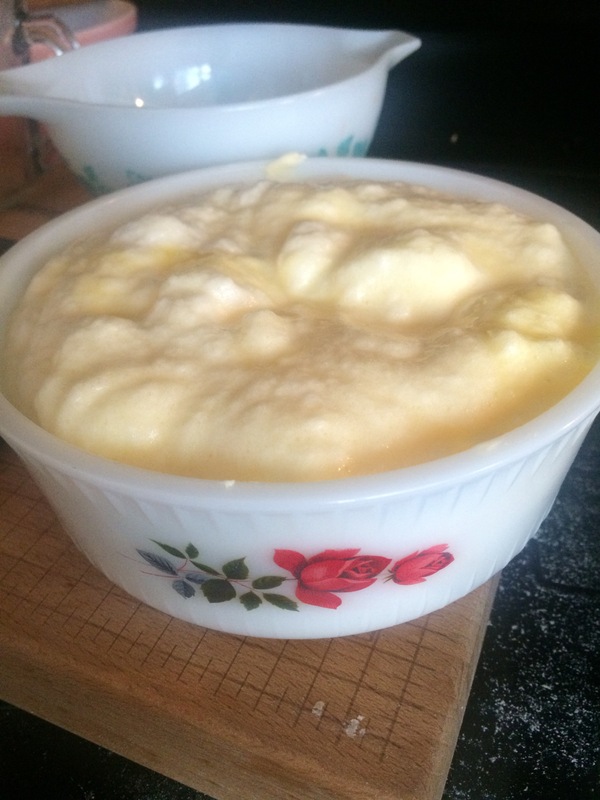 Put into a 5-6 inch buttered souffle dish. In oven shot – volcanoooo!!!!!! Absolutely delicious!!!! Not pretty but tasty!!! and dust on top before serving. Jam sauce makes an excellent accompaniment. 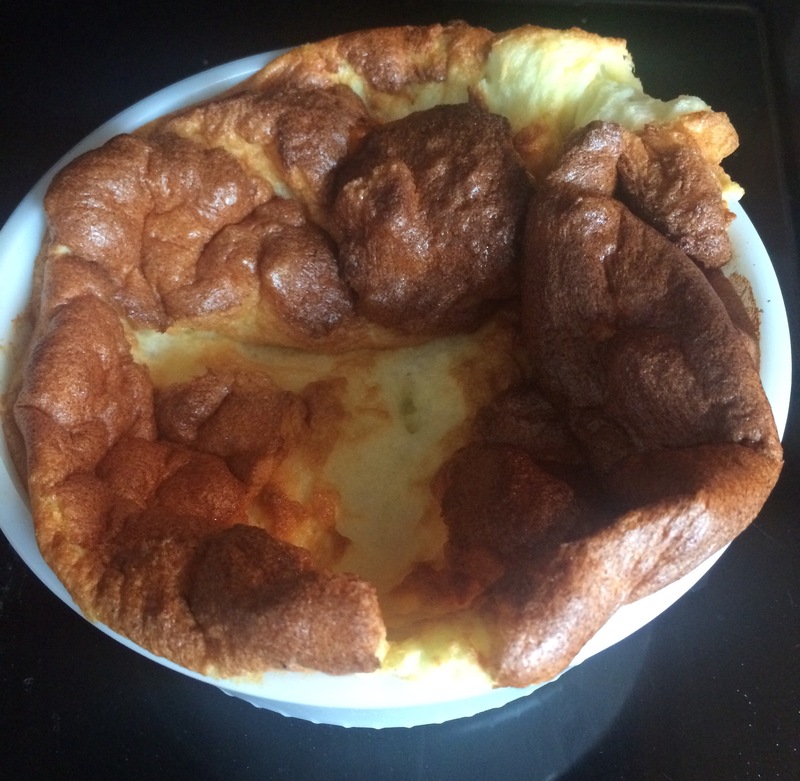 I’ve never made soufflé or eaten it so I’m not sure what it should look like. I think my dish is just a little wide, only by an inch, but I think the smaller dish would have helped keep it high. It was really tasty though. 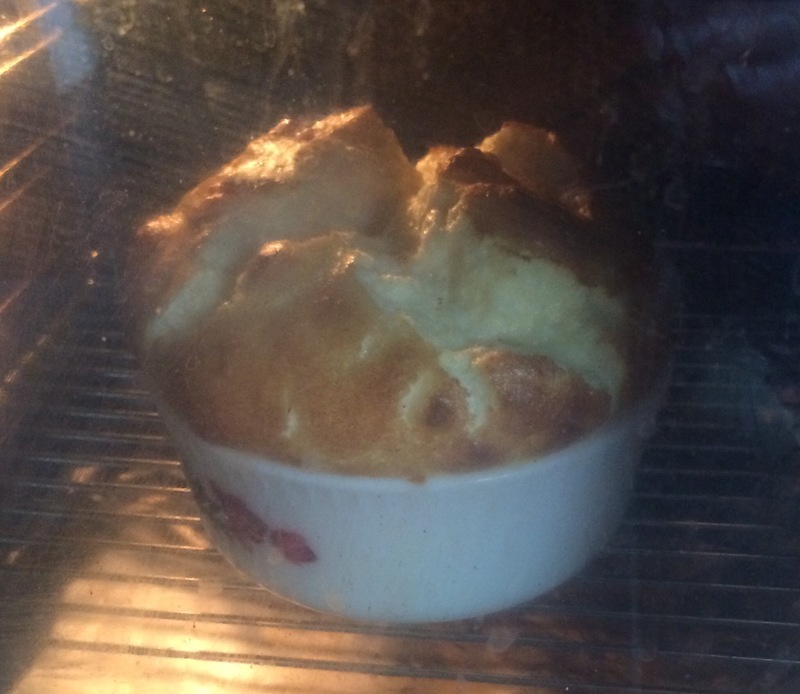 I shall definitely be trying soufflé again. A very delicate flavour. 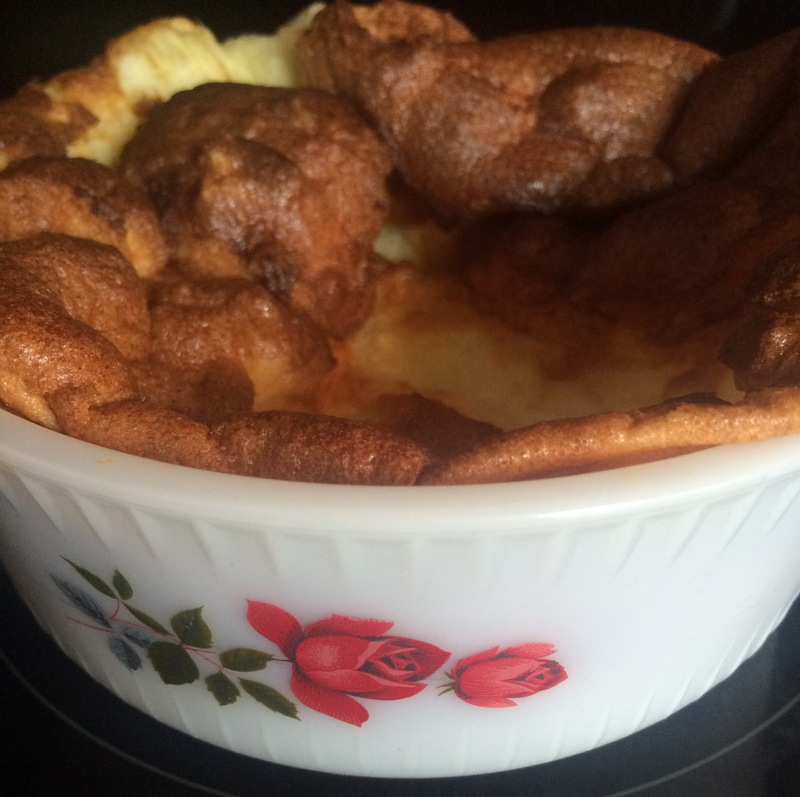 If you’ve made soufflé please get in touch and let me know some tips to the perfect one! Photos of well presented ones would help too. I quite enjoyed making it so would like to go again!! !